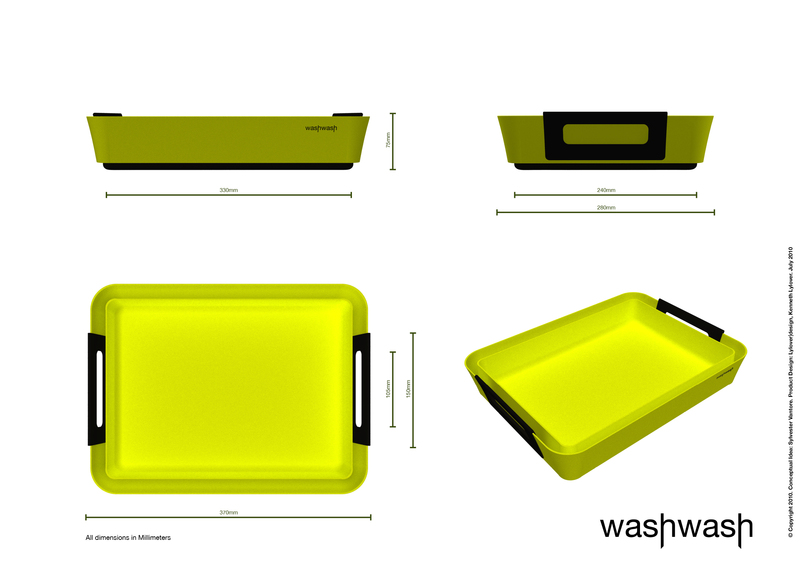 To re-invent the washing-up bowl as an innovative and space saving modern designed product that goes hand in hand with modern kitchen designs. 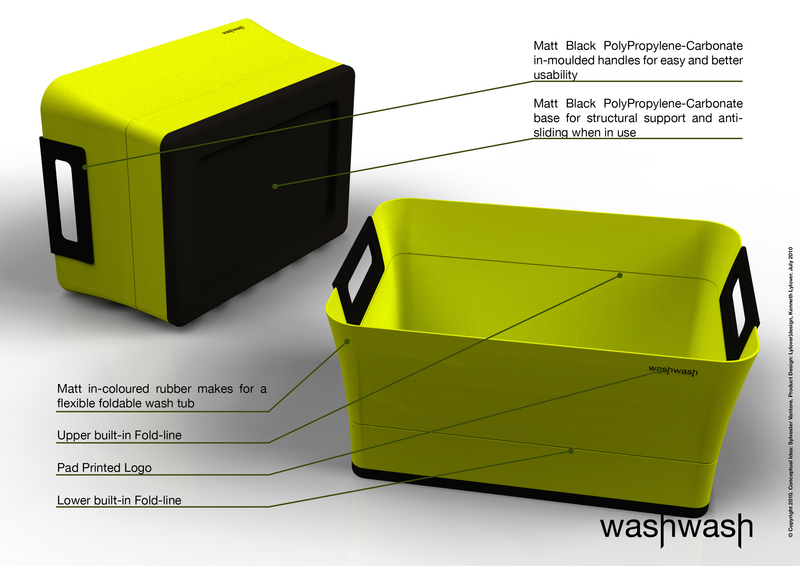 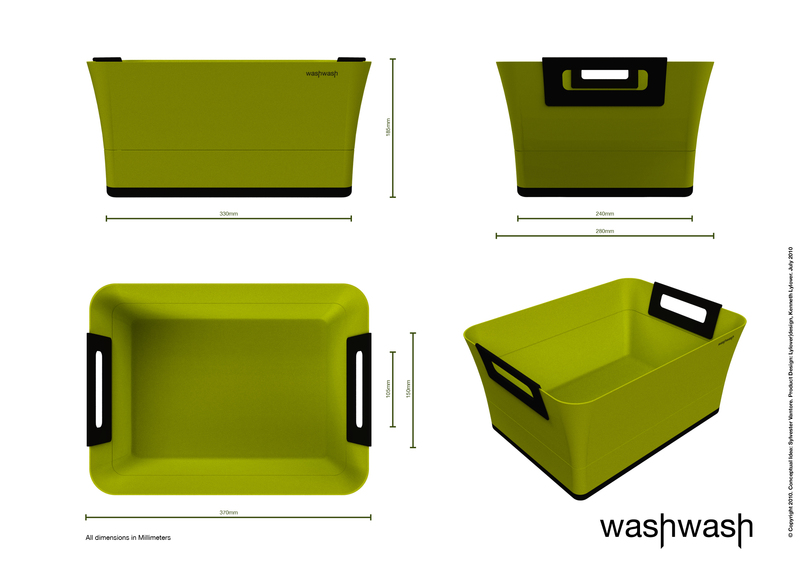 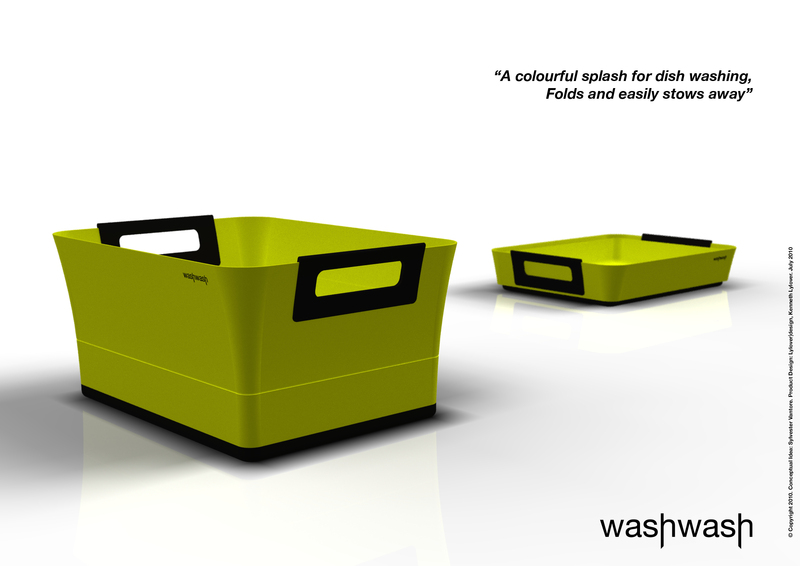 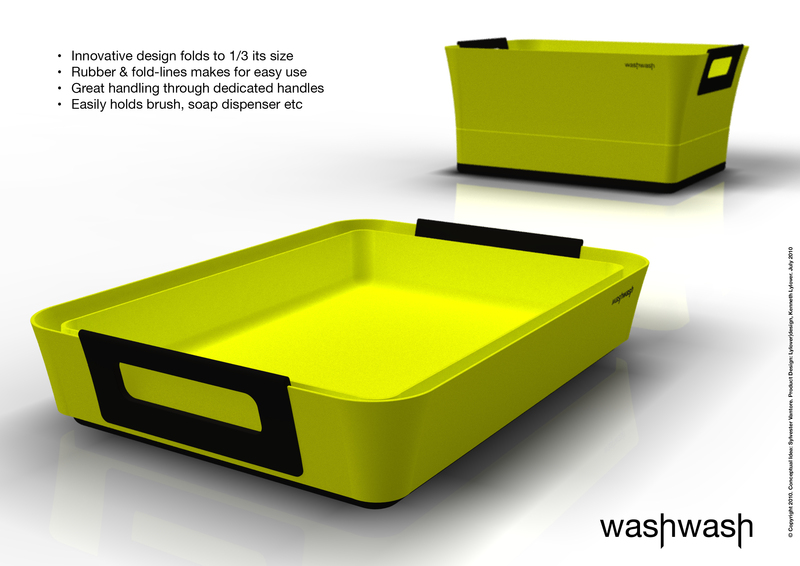 up unnecessary space – WashWash focuses on innovative space saving functions and a modern design. 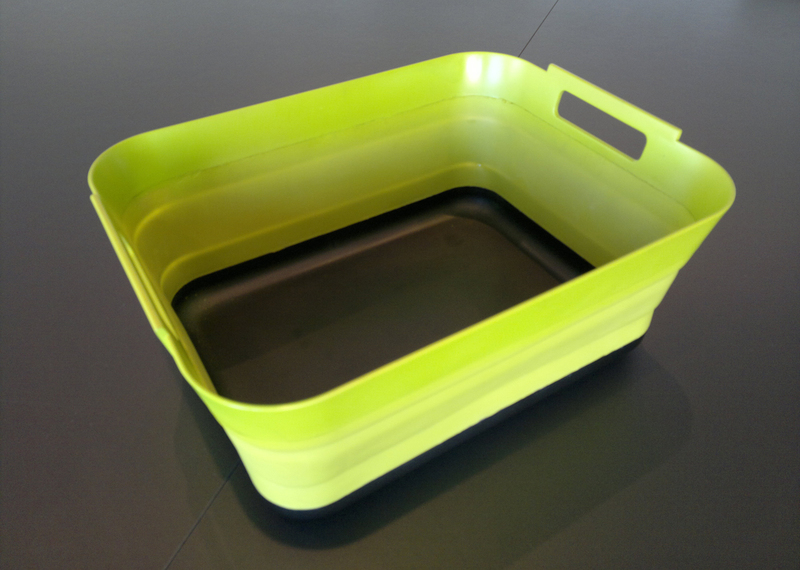 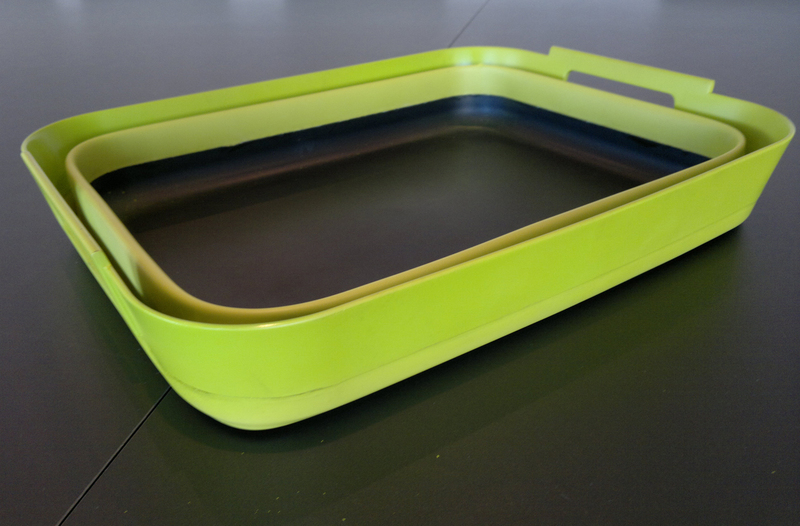 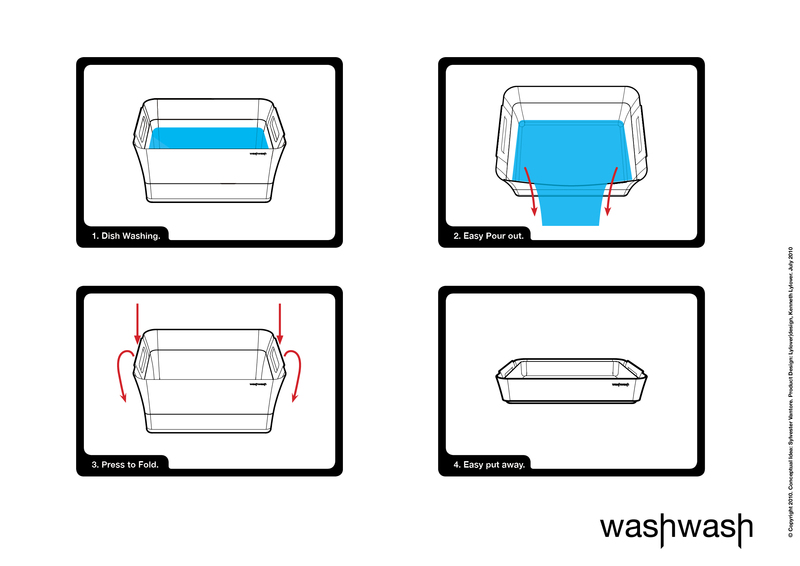 The design of the WashWash washing-up bowl is an innovative approach to deliver a functional and aesthetic design that not only takes up 1/3 of the space than traditional bowls and at the same time easily fits in with the design conscious consumers. 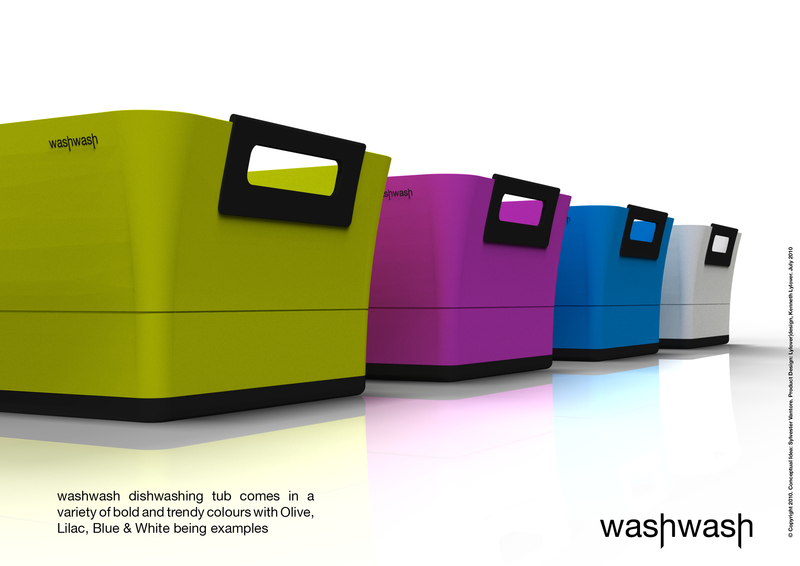 The development of washwash was discontinued in spring 2012.